• LIGHTER IS NOT INCLUDED! • Ask about custom colors! 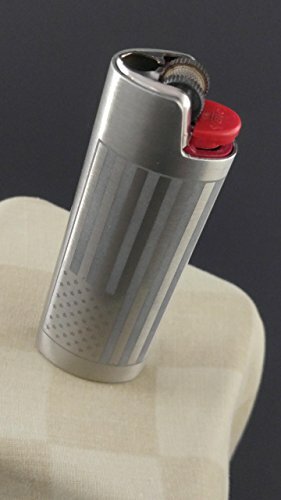 • Every BIC lighter sleeve we etch, engrave, or wrap is made by hand, and made from metal for durability. This is just one of the many covers we offer, so feel free and encouraged to check out our other listings. We also have the ability to make a COMPLETELY CUSTOM LIGHTER COVER for you. Prices vary on this service based on complexity and how many you would like to order. We offer this service with all of our products (glasses, coasters, lighter covers, beer mugs, bartender sets and more) We are capable of making 1 or 1000 depending on your needs. If you have any questions about this product by Custom Cuts and Creations LLC, contact us by completing and submitting the form below. If you are looking for a specif part number, please include it with your message.